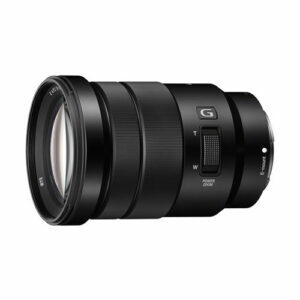 Lens Description: The Sony E PZ 18-105mm f/4 G OSS Lens is a wide-ranging zoom lens that provides a 35mm-equivalent focal length range of 27-158mm, covering wide-angle to telephoto perspectives. A constant f/4 maximum aperture offers consistent performance throughout the zoom range and is especially beneficial when working with greater zoom magnifications in low-light conditions. Also benefitting working in dim light or at the long end of the zoom range is Optical SteadyShot image stabilization, which works to minimize the appearance of camera shake by up to four shutter speed steps. 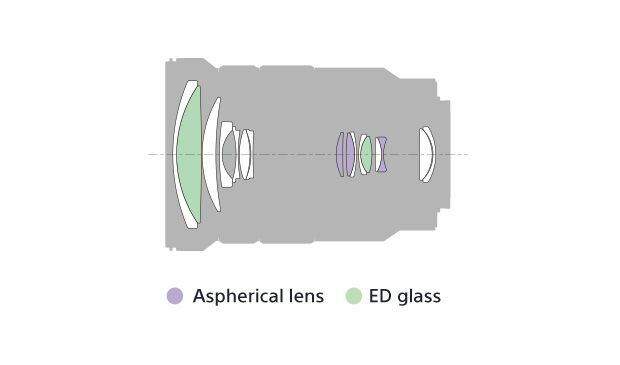 The optical construction incorporates two extra-low dispersion elements and three aspherical elements to minimize distortion and chromatic aberrations while also contributing to sharper overall imagery with enhanced contrast and clarity. The internal zoom operation utilizes Handycam technology and a floating axis design to help reduce noise during use and provide smooth, controlled zooming. A zoom lever is also integrated into the lens' design for easier control over the speed of zooming with both variable and fixed-speed settings. Additionally, a separate manual focusing ring is available to provide versatile handling in regard to setting both the focus and zoom positions simultaneously.